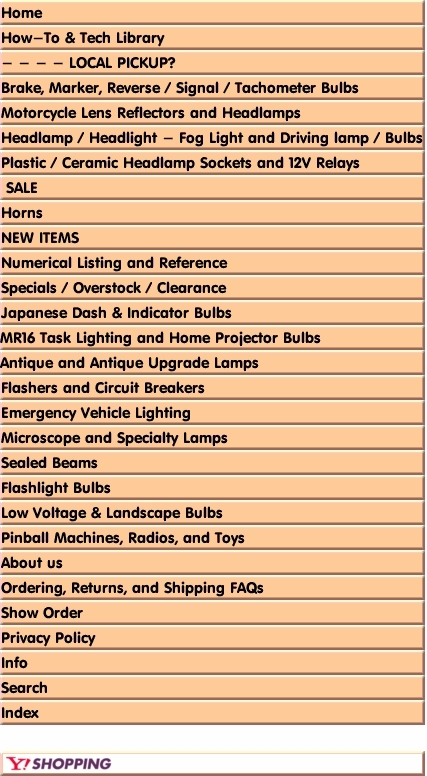 We carry a large selection of original, reproduction, and alternate antique and special interest replacement lamps. We have limited resources to determine the exact lamp that is required for your specific application. We also do not carry a complete inventory. Please note that some replacement Antique bulbs may work, but may be of a different wattage, or candlepower. There are no returns for original manufactured bulbs. However, we will replace the original within ten (10) days of receipt. Please call (301)340-0224 for instructions.